The video team at AJ+ tells the story of one Holocaust survivor, drawing connections between the rise of fascism, then and now. AJ+ Team: Mara Van Ells, Raji Ramanathan, and Luis Flores (R to L). With the knowledge that history repeats itself, it’s important to listen to and learn from our elders. The AJ+ team had that philosophy in mind last year, following the neo-Nazi demonstrations in Charlottesville, when they set out to speak with Holocaust survivor Ben Stern. Edited by Luis Flores, and produced by Mara Van Ells and Raji Ramanathan, Lessons from a Holocaust Survivor poignantly draws similarities between the rise of fascism then and now. The important piece urging viewers to fight for justice won the 2018 Webby People’s Voice Award for Documentary: Individual Episode in Film & Video. We talked with Flores, Van Ells, and Ramanathan about producing the project, its wider impact, and more. Why did your team at AJ+ decide to interview a Holocaust survivor on his experience, and on resisting neo-Nazism and bigotry? In August 2017, a man attending a far-right rally in Charlottesville deliberately drove a car into a crowd of counter-protesters, killing Heather Heyer and injuring 19 others. With self-avowed neo-Nazis marching in the streets and the president of the United States saying there were “very fine people” on both sides, we wanted to provide a living reminder of what can happen when hate and discrimination flourish. We reached out to Holocaust survivor Ben Stern, and his stories and experiences helped illustrate the stakes at hand. What is the biggest challenge to creating short, moving, informative videos for an online audience? Engagement. It’s challenging to get people to watch a full video without scrolling past it after a few seconds. We feature strong voices, compelling visuals, and intriguing stories to overcome that hurdle. We use visuals, text, and soundbites to make our stories informative and easy to digest. Why do you think this one was so successful? We believe our story was successful because it provided a much-needed perspective on the violence happening in Charlottesville. Ben was able to tie the current situation directly to his experience during the Holocaust. His personal story was emotional, inspiring, and motivating. His wisdom and his ability to articulate his message carried our piece. What do you hope viewers take away from Ben Stern’s story and his call to action? We hope viewers walk away with a sense of how terrifying and alarming the Charlottesville violence was. Ben compares it to the bigotry and hate he experienced during the Holocaust. But we also wanted to leave viewers with a sense of hope. At 95 years old, Ben is still determined to speak out and stand up for justice. We wanted our audience to feel how serious the topic was but still have a sense that all was not lost. We hope viewers walk away with a sense of how terrifying and alarming the Charlottesville violence was. What does your Webby win mean to you and the team who worked on this video? Ben’s story meant a lot to us, and we’re grateful that his experience now has a bigger platform, thanks to The Webbys. 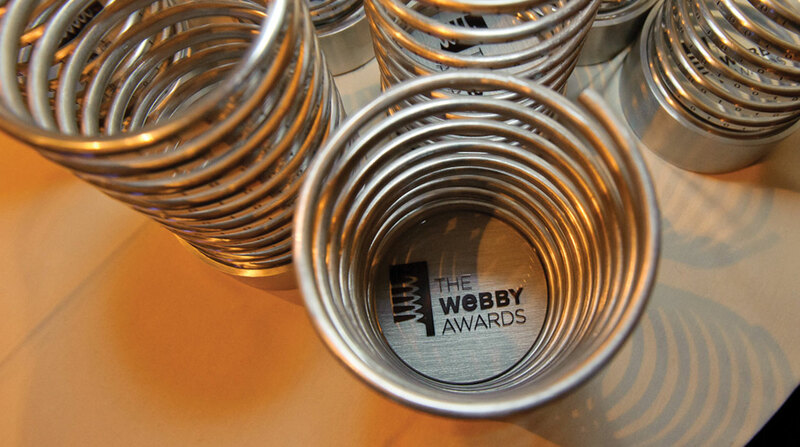 The Webbys brings together the best of the Internet, so to win alongside incredible creators is very humbling. We’re honored that this was the video voters chose to recognize with the Webby People’s Voice Award.